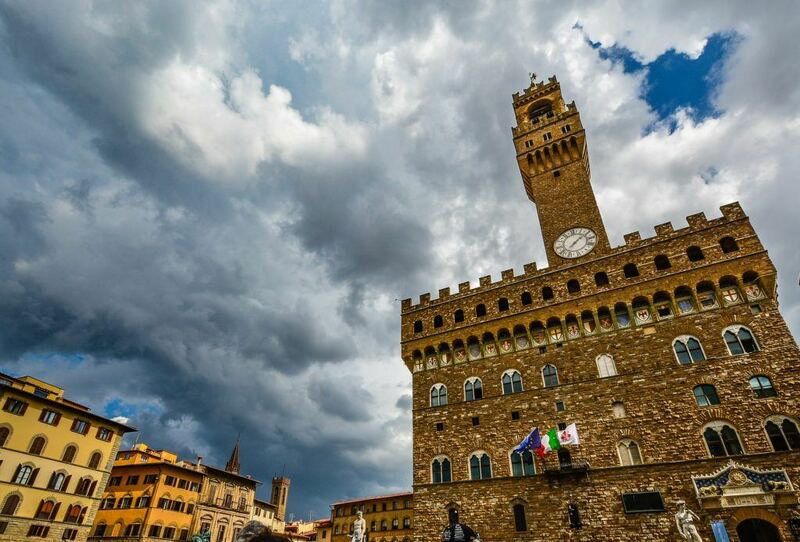 The Palazzo Vecchio is a symbol of the city of Florence. The building has a 94m-high tower which was built between the 13th and 14th centuries. 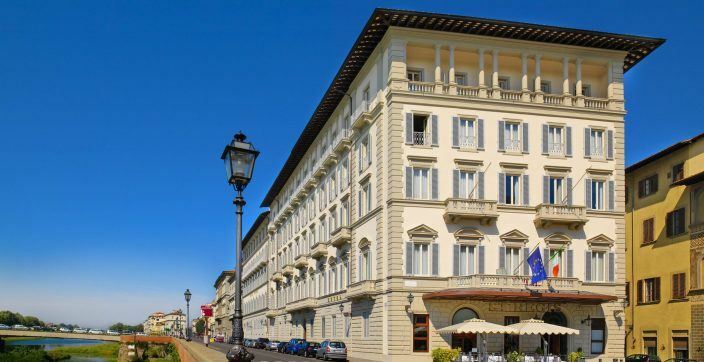 It has a fascinating history and remains one of the city’s most magnificent museums in Italy. This article highlights the best things to see on your visit to this fabulous fortress palace. Designed by Arnolfo di Cambio for the Signoria or city government, today, this famous building is home to the municipal council and the mayor’s office. The top of the tower presents astounding views of the city, and inside the Piazza Della Signoria, you’ll find Michelangelo’s sculpture, Genius of Victory (Genio Della Vittoria) within the magnificent painted hall, which was created for Florence’s 15th-century ruling “Council of 500,” or the Consiglio dei Cinquecento. There were ample comings and goings over the years until in 1540, the palace was transformed into the ducal residence of Cosimo I and the center of government. The interior was redecorated to include an impressive 53m-long, 22m-wide floor to ceiling painting of the Salone dei Cinquecento, depicting swirling battle scenes that glorify Florentine victories over Cosimo’s archrivals, Siena and Pisa. This brazen celebration of Cosimo’s own power is topped with a portrayal of himself as a god right in the center of the 7m high, ornate paneled ceiling. The overall effect is truly mesmerizing! In the map room, you’ll find a fascinating collection of 16th-century maps that chart every place in the world that was known at the time – from the Caribbean to the polar regions. 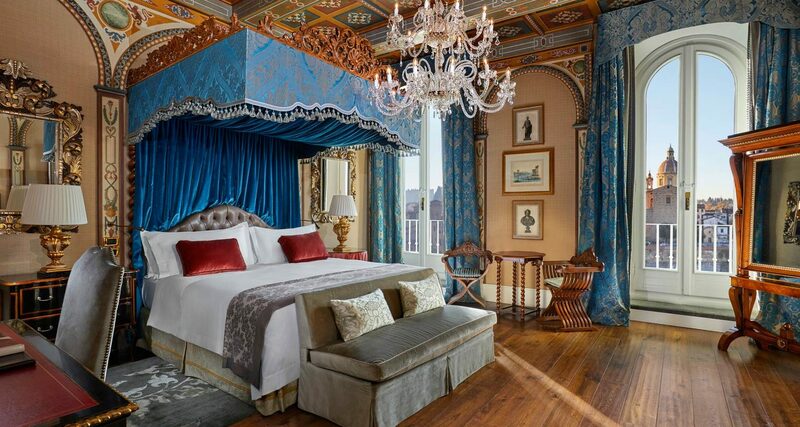 The Palazzo Vecchio has Roman ruins, Renaissance chambers, paintings, and a Medieval fortress that will take you on an exciting journey back in time to these three historical eras. This is a place where history and art have been inseparably bound for centuries. This museum is one of the most enjoyable in Florence. You’ll absolutely adore its secret routes which are perfectly suited for curious visitors and families with kids. The encrypted mottoes and the frescoes of the coat-of-arms provide a great setting for treasure hunts. You can chase images of weasels, turtles, and rhinoceros all over the palace. 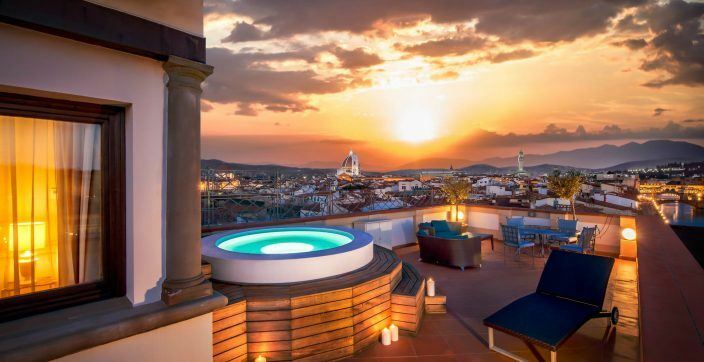 When you reach the top of the tower, you’ll be rewarded with unforgettable views of the Piazza Della Signoria and the red-tiled roofs of Florence! 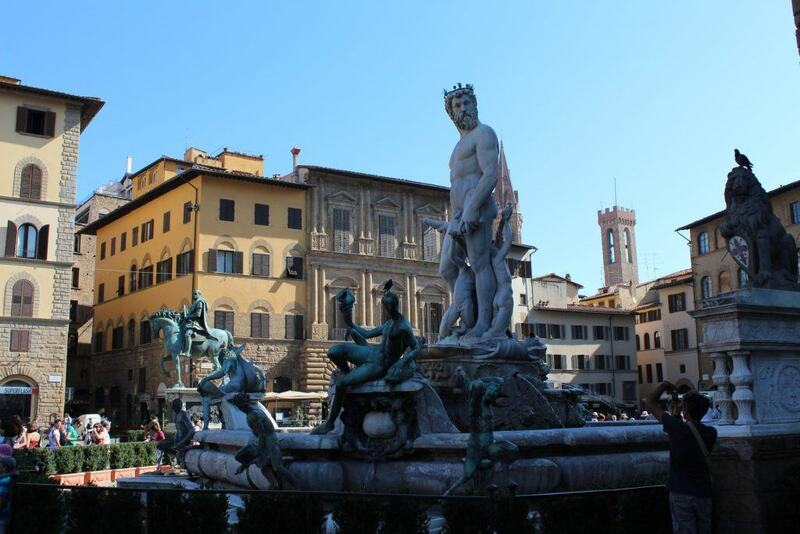 There’s a lot hidden under this important Florentine monument. There were archeological excavations done in the palace’s basement, and now that they have concluded, a lot of important evidence from the past has been brought to light. Now it can be said with certainty that the Palazzo Vecchio stands atop what was once an ancient Roman theater. According to experts, the theater was quite big, capable of seating between eight and ten thousand spectators. This theater was active until the 5th century, but after the Roman Empire crisis, it fell into disuse. This led to its gradual decay as it was subject to looting and damage. The hypothetical reconstruction of this theater is a truly spectacular sight to behold. During the following eras, some of the theater’s radial corridors were used as landfills, animal shelters, burial places, and even prisons. More recently, some tower houses were built on the remains of the theater, but it wasn’t until the Palazzo Vecchio’s construction and expansion that the ultimate demise of the Roman theater came to pass. Afterward, its memory was gradually lost. 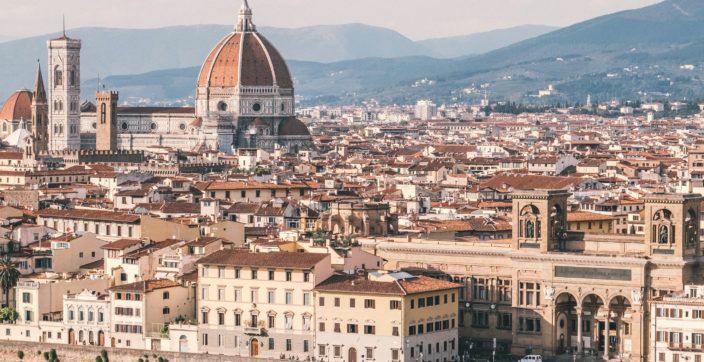 Only in the late 19th century did the Roman ruins hidden under the city begin to resurface thanks to the heavy architectural transformations taking place in Florence. And now, everyone can experience the fascinating adventure of taking a walk through history to find the origins of this beautiful city.